Should You Eat More Protein in Your Diet? RHR: Should You Eat More Protein in Your Diet? Steve Wright: Hey, everyone. Welcome to another episode of the Revolution Health Radio Show. This show is brought to you by ChrisKresser.com. 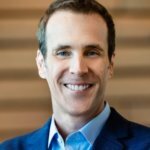 I’m your host, Steve Wright from SCDlifestyle.com, and with me is integrative medical practitioner and New York Times bestseller, Chris Kresser. Chris, how is your day going? Chris Kresser: Oh, it’s an absolutely gorgeous day here in Berkeley. Blue sky, warm. Looking forward to maybe spending some time outdoors today, perhaps after we finish this. How are you, Steve? Steve Wright: Yeah, it’s beautiful here, too, and I’m doing well. We got a ton of rain here in Colorado the last few days, and so the Boulder Creek is up at his banks again, and so I was checking that out yesterday. It was quite amazing to just see how much the mountains shuttle all that rain down so fast. It’s just pretty interesting. Chris Kresser: Yeah, you guys got a lot of rain shuttled earlier in the year, right? Steve Wright: Yeah, luckily I came to town a few days after the flood actually happened, so I wasn’t affected, but yeah, there was a lot of devastation. I was up in the mountains this past weekend and got to see some elk and stuff up in Rocky Mountain National Park and saw the devastation that happened up there in a few towns. It’s pretty bad, and they’re going to still be building for another year or two, I think. Chris Kresser: Yeah, that was pretty tragic. Well, today we’re going to talk all about protein. I just published an article about some situations where a high protein diet can be helpful, and it generated quite a bit of controversy, so we’re going to address that today and answer some of the questions that I got in the comments there and just talk about when lower protein intake makes sense, higher protein intake makes sense, and if you’re following a higher protein diet, how to get all that protein in. Steve Wright: Well, I love this topic, so I’m pretty pumped for this, Chris. Before we roll into it, I just want to let the listeners know that if you’re new to this podcast or maybe you’re new to listening to Chris and his work, Chris has created on his website a membership area where he’s put his best tips and tricks for burning fat, boosting energy, solving your health problems holistically, and these come in the form of mini eBooks, in the form of email series, in the form of audio interviews – I mean, there’s just a ton of information that Chris has put together over the last few years. And so if you go to ChrisKresser.com and you sign up for his membership site, you’re going to get access to all of this. Already, Chris, I don’t know if you know this, you probably do, but 101,000 people, man, so congratulations breaking through the 100K mark there, but there are over 100,000 other people already signed up. It’s an amazing resource. So head over there and sign up for that if you haven’t yet. So Chris, before we talk about protein, did you have any protein for breakfast this morning? Steve Wright: Nice. Like Mini-Me! Chris Kresser: Uh-huh, exactly. Yeah, she loves bacon. She’s really into bacon lately, going through a bacon phase. You can’t blame here, right? Steve Wright: Is she off the sauerkraut phase? Chris Kresser: Yeah, she’s not gobbling it down with quite the same fervor as she was before. She still likes it, but she’s not going crazy, you know, trying to eat half a jar at a sitting. Steve Wright: I love it. I love watching kids eat because I’ve seen those studies where they present them, like, 30 options and they let the kids just pick and they pick all these random, weird combinations that you would never eat, but at the end of the month they always choose a super highly nutritious diet. It’s amazing. Chris Kresser: It all balances out, and it’s a good lesson and reminder to us to follow our gut, so to speak, our intuition and remember that balance doesn’t have to happen in one day. It can be over a week or even a month, so a good reminder. Steve Wright: Yeah, so let’s talk about protein and protein balance. What’s all the controversy here? I don’t get it. Chris Kresser: Yeah, so you know there’s always a lot of discussion about fat and carbohydrate, like how much of each of those you need, low fat, high fat, low carb, high carb, but protein doesn’t get talked about quite as much in terms of how much you eat, and I think part of that is because we have a mechanism in our brain that for most people fairly closely regulates protein intake, meaning if you need more protein you’ll crave it and people will naturally eat more, and if you need less you’ll be averse to it and you’ll naturally eat less. Now, that’s true for many people, but in some cases that system doesn’t work very well, and there are a number of possible reasons for that ranging from just inflammation in the brain, things going wrong in the brain itself, or other disease states where those feedback mechanisms aren’t functioning properly, etc. So we can depend mostly on that system but not in all cases. Because of that, the average protein intake in most industrialized countries is about 15% of calories, and it doesn’t fluctuate as much as carbohydrate and fat intake does, and so I think that’s part of the reason it’s not discussed as much. But as it turns out, I think protein is crucial in terms of determining our overall health, and there are certain situations where either decreasing or increasing protein intake makes sense and following your natural cravings may not be enough because the body doesn’t necessarily know what your goals are. I mean, those cravings are based on evolutionary mechanisms designed to promote reproductive fitness and just overall health, but it doesn’t know, for example, if you’re a bodybuilder and trying to put on a lot of muscle mass and train for a competition. Then your protein cravings aren’t just going to magically go up because your brain knows that. That’s just not how it works. And while it may know that you’re chronically ill, it may not know that higher protein intakes can be therapeutic in that sense, and so your craving for protein may not go up in that situation either. We respect the innate wisdom of the body, and there are also situations where we can use our own scientific knowledge therapeutically, and I think protein, just like any other nutrient, can be used therapeutically in those kinds of situations. Steve Wright: Yeah, most of the research has shown that protein is the most satiating macronutrient, correct? Chris Kresser: That’s right. It is the most satiating macronutrient, and I think the research actually supports the idea that protein is the most important macronutrient when it comes to weight loss, which we’ll talk about here in a second, but let’s first mention a couple situations where you might actually want to lower your protein intake below what you naturally crave. One is pre-existing kidney disease. We’ve all heard the idea that high protein diets damage your kidneys. Well, that’s not actually true for people who have normally functioning kidneys, and I’ve written a couple articles about that, but it may be true in people who have pre-existing kidney disease. In those situations, especially if you’re eating a really high protein diet of 30% or 35% of calories and your kidneys don’t function properly, you may want to cut down and reduce your protein intake in that situation. Pregnancy is another situation where really high protein diets probably aren’t a good idea because the ability to convert ammonia from protein, which is toxic, into urea, which is nontoxic, is somewhat limited in pregnancy, and this is part of the reason why a lot of women who are pregnant are averse to protein. I remember when Elanne, my wife, was pregnant. She loves meat more than I do and often eats more of it than I do, but during pregnancy she just had a really strong aversion at some points to meat, and I have a lot of patients, pregnant women, who have experienced the same thing, and I think that, in part, could be due to this limited ammonia-to-urea conversion. In some cases, women will just naturally crave less protein during pregnancy, but even if they don’t, I think it’s a mistake to exceed maybe 25% or 30% of calories as protein during pregnancy, and there’s some research to support that. The article that I wrote was about five specific situations where higher protein intakes may be therapeutic. Now, I say “specific” because in some of the comments I don’t think people fully understood that. They maybe thought that I was making just kind of a generic recommendation about protein intake, which I’m not at all. My generic recommendation is to eat as much protein as you crave, and for many people, that’s about 15% to 20% of calories. These were particular situations where higher protein intakes can be used therapeutically, and that means using a specific nutrient for a specific purpose for often a specific period of time. That’s much different than a general recommendation. So this isn’t for everyone, and it’s not forever, even for people who fall into any of these five categories. It’s the same idea as, you know, taking glutathione to improve immune function or taking adaptogenic herbs when you’re under a lot of stress. I mean, it’s pretty well understood that those things are not for everybody. It’s not suggested that everybody does that, but that you do it for as long as you need to do it until your system gets back to homeostasis and until you don’t need to do it anymore. This is along the same lines, how to use protein therapeutically in certain situations. Steve Wright: So in other words, as your lifestyle changes, as your health changes, your macronutrient ratios are likely going to change. 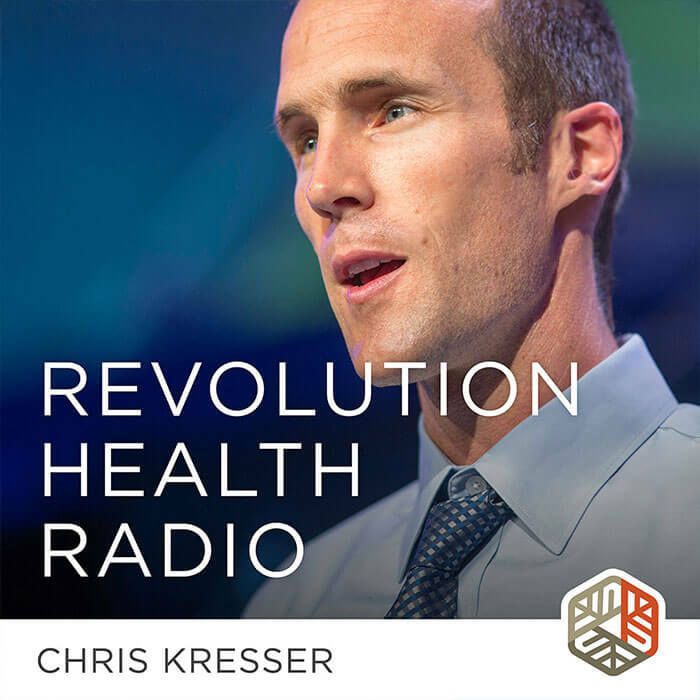 Chris Kresser: Absolutely, and I made that argument in the book, that not only is there no one-size-fits-all approach in terms of a diet that works for everybody, there’s not even a one-size-fits-all approach for one person throughout their entire lifetime. So as you just said, Steve, the ideal diet for you in June of 2014 may not be the same as the ideal diet for you in December of 2016. There are a lot of things that change both over linear time, like over the years you get older, you might develop an illness or a disease, or your goals might change, you might start training for a competition, and even seasonally throughout the year. The weather changes. The foods that you crave during the winter will probably be different than the foods that you crave during the summer. If you move to a different place, like if you’re living in Boulder in the winter you’re going to have different cravings and needs than if you’re living in Hawaii during the summer. All of these things affect what’s optimal, and they’ll change over time, and this is something that I really appreciate about Chinese medicine because they’ve been talking about this stuff for thousands of years, and the idea of just having a single diet that works for everyone throughout their entire life would be kind of ridiculous to them. That’s something I’m constantly trying to remind people of. Steve Wright: Yeah, and I appreciate that because it took me a long time to really get this, and since I’ve been able to get it, it’s really helped my anxieties or any sort of thoughts I’ve had around food. Accepting this idea that maybe some dietary rules that really help you at the beginning might not help you for the rest of your life and to let go of that and to choose a paradigm that’s more open and flowing, I think, really can seem stressful, but I just want to encourage people, if you’re trying to play with this idea, stepping through it, getting to the other side of just appreciating food and realizing that you can’t just set rules and forget about it, that you have to live with it as you go throughout life, like every one of us has to eat every day, it’s actually more simplifying, I think, when you come out the other side. Chris Kresser: Absolutely, and then you don’t have to depend on external sources of information and diet gurus, etc. You just listen to your body and eventually you know what to do, and that’s freedom when it comes to diet and nutrition. Let’s talk about the five situations I mentioned in the article. I’ll go over them briefly, and then we’ll talk about each of them in a little more detail. I’m going to refer you to the article if you want the nitty-gritty. We’re just going to go over them briefly here. They would be weight loss, blood sugar and metabolic issues, athletes and people who are training hard, the people who are dealing with muscle wasting, like the elderly and chronically ill, and people who are under a tremendous amount of stress and who are dealing with “adrenal fatigue syndrome. First, weight loss. There’s a ton of research showing that high protein diets up to 35% or even higher in some cases can be really effective for both short and longer-term weight loss. As you said, Steve, protein is the most satiating macronutrient, which means when we eat it we feel satisfied, and when we feel satisfied we’re likely to naturally eat less and lose weight without trying. Protein also has an effect on up-regulating the metabolic rate, so it boosts your metabolism and makes it easier for you to burn calories. There was a study I shared in the article that showed that they took a group of people and they increased their intake of protein from 15% of total calories to 30%, so they doubled it, and those people consumed 440 fewer calories per day without even trying to reduce their calorie intake, so that’s pretty significant and it did lead to significant weight loss for them. In terms of blood sugar, protein has a stabilizing effect on blood sugar, and it’s been shown to have beneficial impact on a wide range of metabolic, cardiovascular, and inflammatory markers, so fasting blood sugar, insulin sensitivity, blood lipids, things like C-reactive protein. When a patient comes to me with a high blood sugar issue, I will often have them increase their protein intake overall throughout the day and particularly focus on a high protein breakfast because that tends to really set the tone for the day and improve blood sugar regulation throughout the day. Then we have athletes, people training hard, CrossFitters, high level athletes, bodybuilders, anyone who’s doing a lot of glycolytic activity. Protein builds muscle and it helps a lot with recovery and performance, especially post workout, so this is why there’s such a huge focus in the bodybuilding community on post-workout protein shakes and things like that because increased protein intake really can help with recovery and muscle building. Along the same lines, muscle wasting can be a problem in people who are chronically ill and the elderly, and protein can help reduce that tissue breakdown, so in some cases, increasing protein can be beneficial for people who are dealing with that issue. And finally stress, chronic activation of the HPA axis increases something called allostatic load, which is just the technical term for the wear and tear that stress causes in the body. Ultimately allostatic load leads to tissue breakdown. Protein, especially collagen proteins, which are important in rebuilding tissue, can be really crucial in these kinds of situations. Then stress and adrenal issues or hypothalamic-pituitary-adrenal axis issues can also screw with your blood sugar. Hypoglycemia is typical or fluctuating blood sugar that goes up and down, and as I mentioned before, protein is stabilizing for blood sugar. Those are five situations where increasing protein intake perhaps beyond what you naturally crave can be really helpful, and I’ve seen this time and time again in my work with patients. Steve Wright: You know what’s fascinating, Chris, about some of the scenarios that you’re listing off here is when you tie them back to, like, your craving and how food makes you feel, lots of research suggests that your stomach acid production declines pretty rapidly after the age of 50, at least in the population studied, so who knows if they’re healthy or unhealthy people. If you’re under chronic stress, you’re going to be blocking your ability to make stomach acid, and why this would matter is that if you’re having low stomach acid, you’re going to feel fuller longer and you might start to decide that you don’t need more protein, but your cells need it. It just doesn’t feel so good digestively when you eat it because of this issue of not being able to actually digest it. Chris Kresser: That’s a fantastic point, and this is a great segue into the next little section, which is, OK, so you’ve determined that you need more protein. How do you get more protein into your body? I have always and will always recommend getting nutrients from whole food whenever possible. We’re adapted to get nutrients that way. Whole foods have a number of other beneficial cofactors and enzymes that help us to digest and absorb whatever nutrient we’re going for, and so that’s always the recommendation, and many people would be able to do that, just get all of their protein from whole foods, especially when you’re talking about 20% to 30% of calories and you’re talking about someone who eats maybe 2000 or 2200 calories per day. But when you are talking about a very active male or female that’s eating more like 3000 calories a day and they’re aiming for, like, 35% of calories from protein, you start talking about a heck of a lot of protein, and if you’re getting it all from animal products, you’re talking about eating maybe several pounds of meat or fish a day depending on how you go about it. Some people just don’t want to do that for various reasons. Maybe that just feels like too much animal protein for them to eat. There’s a cost factor. There’s just simply preference; some days they don’t feel like eating meat three times a day. It could be weather. I mean, on a really hot day sometimes the idea of a shake maybe with some protein powder in it is more appealing than eating a steak. And then you mentioned, Steve, low stomach acid. There’s also bile insufficiency, small intestinal bacterial overgrowth, any other kind of gut problems that reduce our ability to break down and absorb protein from meat or other animal products like that – that’s a very real problem and something I see and I know you see a lot in your clients that you work with and my patients that I work with, especially people who are coming from a vegetarian type of diet or a lower protein diet and people who are dealing with these kinds of gut issues. It can be a real problem for them to digest and absorb that much animal protein in whole foods, but that doesn’t mean that they won’t benefit from the higher protein intake, so this is where protein powder can be useful. It’s not something I recommend for everybody. I’ve said in my book and elsewhere that the downside of protein powder compared to whole foods is that it’s more processed and it’s not still in the whole-food form. It doesn’t have as many of the cofactors and enzymes, but in the context of a diet where you’re eating a lot of other nutrient-dense foods, having protein powder in addition to that I don’t think is problematic when you use a good source of high quality product, and even having it maybe a few times a week in place of a meal, especially if you’re trying to lose weight, can be a really effective strategy. When you look at the research literature and you see some programs where they combine whole food with protein shakes for an intensive period of weight loss, they’re extremely effective and compliance is often pretty good with those programs. Myself, I’m not a heavy user of protein powder. I maybe use it two to three times a week. It could be after a particularly hard workout, where I feel like I need an additional boost in terms of recovery. Sometimes, like, on a hot day or if I’m in a hurry and I don’t have time to cook, I’ll make a green smoothie with some spinach, some banana, coconut milk, almond milk, a couple of egg yolks, and maybe some protein powder. Like I said, it shouldn’t replace whole foods often, but as a complement to a nutrient-dense diet, I don’t see a problem. Steve Wright: I love that, and I think that’s really key, but that opens the Pandora’s box of protein powders, which there are animal-based protein powders, some of which are dairy based and some that are not, and then there’s the whole slew of the plant-based protein powders. Steve Wright: So where do we go for guidance? Chris Kresser: That’s a good question, and I did mention that at the end of the article. There are so many different choices, and generally my recommendation is always choose an animal source because if you’ve seen my book and the chapter on protein quality there, you’ll know that there’s a huge difference in terms of bioavailability of animal versus plant proteins, and all animal proteins are more bioavailable than plant proteins across the board. Dairy proteins tend to be the most bioavailable. Eggs are pretty high up there, and meat is high up there, too. Whey protein is a great choice, especially if you get the grass-fed, non-denatured whey that comes from pasture-raised cattle that aren’t given antibiotics or hormones. The problem with whey is that some people don’t tolerate it well, even people who seem to do pretty well with dairy. I’m actually one of those people. I drink a lot of kefir, and I have yogurt and occasionally cheese, not so much cheese, but I do fine with all of that, so you’d expect that I would do fine with whey protein powder, too, because there’s whey in those other dairy products, but generally when I have whey protein powder, I will often feel a little bit bloated afterwards. And then I have a lot of patients that I use the Cyrex Array 4, the cross-reactive protein test, and it’s pretty common for me to see whey come up as something that people are reacting to, especially if they have gluten intolerance. So I think whey is a great choice as long as you tolerate it well, and another option is a hydrolyzed beef protein. Hydrolyzed means it’s partially digested and broken down into smaller peptides which are more easily absorbed across the gut lumen into the bloodstream, so that means it’s going to be more bioavailable than even beef that you would eat in whole form or beef protein powder that’s not hydrolyzed. Beef has some unique muscle-building properties, and if the protein powder is full spectrum it will have collagen proteins in addition to the other amino acids, and that’s important for a couple of reasons. Number one, as I mentioned before, collagen proteins are especially helpful with tissue breakdown that you would see in stress and chronic illness and also with hard training because training breaks down tissue and then you build it back up. That’s how you get stronger. The other thing is that some studies, as I mentioned in a recent article, do suggest that high protein intakes over the long term could potentially increase the risk of some diseases if you’re only eating lean proteins, a high intake of methionine, an amino acid that’s found in lean proteins, and you’re not balancing that with collagen and glycine and then supportive nutrients like B12, folate, B6, choline, etc. So the advantage to some of the hydrolyzed beef powders is that they have the collagen so you’re getting a more balanced protein intake than you would be if you’re just eating the lean protein like whey or like methionine and beef protein that doesn’t have collagen in it. Steve Wright: So Chris, if you look at a lot of protein powder marketing, they will always been talking about, well, this is a complete source of protein, or this has all of your essential proteins. Is that what you’re talking about here with bioavailability? How can we decode this for the listeners. Chris Kresser: No, with bioavailability, I’m just talking about how much protein is absorbed from what you eat. There’s always a difference between what the content of a nutrient is in a food and how much of that nutrient we actually absorb into our bloodstream from what we eat, and it’s never a perfect 1:1 ratio. There’s always some loss of efficiency there, and it could be if the nutrients are bound up in fibers, which often happens in plant proteins, and that’s one of the reasons they’re less bioavailable, so when we talk about bioavailability, that’s what we’re talking about. What you’re referring to is how complete the protein is, which means what’s the spectrum of amino acids, essential and nonessential amino acids that the protein contains, and it’s also true that animal products are a better choice for that reason, which I mention in my book. They tend to be more complete proteins. And then there’s just the question of quality. There’s a huge variation in quality in all of these powders, whether you’re talking about whey or beef protein or plant proteins. You have the super high quality grass-fed non-denatured whey proteins, which are rich in immunoglobulins and other beneficial substances that are not present in the more processed, lower quality whey products, and then with beef protein, of course, you have the same kind of variation. Personally one of the reasons I wrote the article is that I was excited when Designs for Health, which is a supplement company I use a lot in my practice – I think they make good quality products, I like their quality control – they came out with a protein powder called PurePaleo, which is the first – that I know of – gluten-free, dairy-free, legume-free protein powder that’s made from hydrolyzed beef that actually tastes pretty good and it uses a natural sweetener, tapioca dextrin in this case, very low in carbs, less than 4 grams per serving, and it’s kind of ideal for people who want protein powder but don’t tolerate whey or they’re doing a 30-day reset where they’re not supposed to eat any dairy. I’ve started using it myself the two or three times a week when I have protein powder and found that I felt a lot better afterwards than I did with the whey protein that I had experimented with before, which was a super high quality whey protein. I just wanted to share that because I know there are a lot of other people in that situation. I work with patients all the time who ask me what protein powder I recommend if they need protein powder and people who have sensitivities to whey and other options. I think it’s a good choice if you fit into these five categories that I mentioned and if you’re someone that uses protein powder and if you don’t tolerate whey, and even if you do tolerate whey, you might find that the beef works better for you for muscle building or that you just feel better after you eat it, so it may be worth a try from that perspective. Steve Wright: That’s awesome. I had a little sample of that at a recent health conference we were both at. Steve Wright: And it did taste pretty decent. I was kind of impressed because I did a lot of bodybuilding athletic endeavors well before I got into trying to heal myself holistically and I’ve tried a lot of stuff out there, and it was legit. Steve Wright: So Chris, there’s going to be at least probably 30% of people who really would love to add a vegetable protein to their life. Maybe they just – I don’t know. They have their reasons. Is there one best vegetable protein source powder for these people? Chris Kresser: I haven’t really spent a lot of time researching that because I just don’t bother with plant proteins myself and don’t really recommend them to patients, but maybe a pea protein might be best, especially if it’s partially digested and broken down. It’s a legume, but as I’ve written before, a lot of people don’t have any problems with legumes. That will definitely be less bioavailable than the whey or the hydrolyzed beef, so as long as you’re aware of that, that could be a good choice. I think actually Designs for Health, their previous paleo product was pea protein based, which didn’t make a lot of sense, given that legumes are typically not considered to be paleo, but they didn’t really have another option at that point. One thing I want to say before we finish: A number of people in the comments expressed disappointment that they use tapioca dextrin and they’d prefer it be zero carb and that they use stevia as a flavoring. You could probably speak to this, too, Steve, having done some bodybuilding and maybe having tried some other hydrolyzed beef powders. I’ve definitely tried a few hydrolyzed beef powders, and let me tell you, when there’s no flavoring, they don’t taste very good at all! Steve Wright: Yeah. There are a lot of people out there and myself being one of them, for a long time where I wanted the purest of the pure when it comes to supplements and some additional things like this, and unless you really are good at choking down clumpy, nasty-tasting, gooeyness from a glass, trust me, you’re going to want a protein powder that somebody spent a little bit of time making sure it dissolves and making sure it has some kind of flavor-changing agent in it. Chris Kresser: Yeah, I mean, when something is hydrolyzed, I mentioned it’s broken down into the peptides. The more hydrolyzed a protein is and the shorter the chain of peptides, the more bitter it is. If anyone’s even taken straight amino acids, they’ll know how bitter those are. And so the thing that was kind of impressive about PurePaleo when I got some was how well they managed to deal with that issue. There’s no bitterness at all, and you don’t taste any beef in the powder, and that was kind of a big accomplishment. I was really skeptical when I first heard about it because of all the products that I tried in the past. Anyhow, we’re going to wrap things up. I hope that was helpful. I hope it cleared up some of the confusion. If you want to try some of this stuff yourself, they have vanilla and chocolate flavors, and you can get it online, get it in my store, which is Store.ChrisKresser.com. And yeah, let us know what you think if you try it. Come back to the blog post or this podcast episode post and let us know what you think. Steve Wright: Awesome. Thanks, Chris. We really appreciate you listening to this podcast. You can get more of Chris’ tips and tricks that he’s not necessarily writing articles about or maybe while he’s doing research he’ll share things and then you’ll read about them in a few months if you follow him on Facebook at Facebook.com/ChrisKresserLAc and on Twitter.com/ChrisKresser. Thanks again for listening, everyone. Chris Kresser: Thanks, everybody. Talk to you next time. My experience with protein powders of any type is that I seem to digest them too quickly (even micellar casein), and I don’t get the appetite suppressing benefits that I do with whole food protein sources. I haven’t been able to find an answer to this question. Does the total amount of protein from vegetables and other plant foods in one’s diet count towards the total protein percentage? I tried Paleo Protein, chocolate flavor. I took it two times, and both times it gave me terrible pain in gallbladder, heartburn and very bad gas with diarrhea several hours later. I think, it is a very bad choice for people with digestive problems. I was able to return it to Amazon, and very happy about it, since it is very expensive. I completely hear where your coming from i was a protein skeptic for the same reason, i got bowel irritability from protein and so i shook the thought of using it for body building. Until recently when i started taking it again, i have been through numerous companies trying to find it as its the only truly known supplement to help mass gain with weight lifting thats all natural and not with the use of illegal drugs and such , to save you some time and effort if you are willing to try it again i recommend an all natural non hormone grass fed cow whey protein by body logix http://www.bodylogix.com/canada/natural-whey-concentrate/ . so far its the best ive found also you can take a look at an article to help you decide what kind of protein is right for you here, because theres different kinds for different lifestyles. here ya go… https://themindbodysoul.squarespace.com/blog-1/2015/4/22/what-is-the-best-protein-supplement-for-your-bang-and-your-buck .. i implore you to try again as not only is protein great for people like myself who want muscle mass but also great for weight loss and toning. I am a long time listener and I so appreciate all that you do! But, I followed your advice from this podcast and gave the pure paleo protein powder from designs for health a shot, and in my opinion, it was completely inedible. I will review the product on amazon as well, but felt I should give your listeners a heads up that it is disgusting so they don’t also waste 70 dollars. I wish they would bring back the whey cool formulation – that was much better. Please explain what different labeling would be required and why? How do we respond to this article? I got all excited about that beef protein powder until I read about it on Amazon and a reviewer said it contained stevia. One of the commenters here has mentioned that as well. I can’t do stevia, as it gives me heart palpitations. I am not the only one who’s experienced this, and after going completely off stevia for a month I stopped experiencing the palpitations altogether. I’m 40 this year and my heart is something I will NOT mess with if I can help it at all. There are several non-nutritive alternatives that aren’t sucralose and aren’t aspartame and I wish people would slow down with the purism just long enough to realize that more options are needed. If it means we resort to oligosaccharides and/or polyols sometimes, so be it. Until then it’d be really nice if all protein powder makers would offer an unsweetened version and let us figure out what sweetener we will use for ourselves. Just an FYI from Designs For Health that the PurePaleo Hydrolyzed Beef Protein Powder products do contain stevia leaf in both flavors. Only the Vanilla flavor also contains tapioca dextrin and has 4gr carbs. The Chocolate has no tapioca dextrin and 3gr carbs. The PurePaleo chocolate powder does NOT contain Tapioca Dextrin. It’s only in the vanilla. My concern with Tapioca Dextrin comes from my being sensitive to it according to Cyrex Array panel. Is the Tapioca Dextrin different from other forms of Tapioca such that a sensitivity to Tapioca doesn’t mean I’m sensitive to the Dextrin form of it? Do you advocate taking a weekly break from protein? Hope this is helpful. Thanks again, Chris. We wouldn’t have to worry about the additives, sweeteners, and/or flavorings if the manufacturers of whey and other protein powder would just leave it unflavored and uncontaminated by such stuff. You can add your own cacao powder, vanilla extract, or sweetener of choice all by yourself, like a grownup person who knows what flavors and combinations he likes. I find the flavored protein powders taste unnatural, and the combos favored by the “food flavor engineers” are not the ones I like. When we want to enhance glycine intake, we look for plain, unflavored, unadulterated gelatin powder, not kiwi-mango Jell-O. I occasionally add protein powder to foods where “chocolate-strawberry delite” (or even sweetness) is not an appropriate flavor. I also use the powder to enhance protein intake for ailing/recuperating rescue animals, for whom some of the flavorings are harmful. Leave it plain — we can add our own choice of flavorings. When I eat meat my stomach is bloated. Is this normal? I eat 8ozs to 16ozs per meal twice a day. Any suggestions how to get around this issue? Also, eating this much protein per day causes me to be constipated. What can I do about this? Try using betaine HCL when you eat protein. I find I have to do that too; years and years of carb overdosing has probably caused or exacerbated SIBO for me and cut down on acid production. Chris has an article about that with instructions for using it; just search his blog for “heartburn” or “betaine HCL”. I have similarly noticed that eating sufficient lean protein will slow things down for me, and that eating sufficient fat with it will reverse that effect. (Secreting bile speeds up passage time.) If you eat enough fat that it backfires and makes things go too fast in the other direction, you can experiment with different fat intakes to see where your sweet spot is or you can just eat foods known to be high in soluble fiber with your meal. Squashes are pretty good for that. Soluble fiber slows things down rather than speeding them up and tends to be soothing to your GI tract as well, as a general rule. Be careful if you’re allergic to shellfish. You might react, you might not, but don’t go full-on crazy without an epi pen nearby. can you please address the possibility of free glutamic acid or MSG in hydrolyzed beef protein? also- i used to periodically consume a combo of sprouted brown rice protein and pea protein, as i understood it was more of a “complete protein”. i felt pretty good with it (not bloated and helped with energy), i usually just shook it up with a quart of raw milk with a bit of extra cream and a dash of maple syrup. these proteins were organic and processed at low temperatures and enzymatically isolated. i know since brown rice protein and pea protein are not in your paleo repertoire you don’t have a lot of research on them, but they are immensely popular and also economical. MSG is an industrial ingredient. It had to be invented. It is made in a factory. You can’t accidentally make it in the process of making other food products. Glutamic acid appears in lots and lots of different proteins and I think your body may even make it. *checks* Yep, it’s non-essential. Basically? You may have an upper tolerance limit for eating the stuff, but if it was going to hurt you in and of itself, you would be constantly sick whether you ate it or not. Mind you, I know someone who is MSG-sensitive and he doesn’t seem to do that great with hydrolyzed protein either–again, he may have a lower tolerance threshold for glutamic acid or something. I really don’t know. I was wondering what that “Natural Vanilla Flavor” and “Natural Caramel Flavor” are .. MSG? if not, what is it? .. I think it really doesn’t have to be flavored or sweet.. everyone has different preferences and can spice it up accordingly! I would like to try getting some more protein in my diet. I am getting older and having trouble gaining weight. Some of the other 5 reasons may also apply. I’m not sure if I should be consuming whey, with my gut issues, but, I saw my “natural” grocery store had some whey protein powder on sale – only $22. The product looked like a very clean whey (grass-fed, non-GMO, etc). Ingredients: Whey protein concentrate, natural vanilla flavors, stevia leaf extract, sunflower lecithin. Contains milk. The stuff was VERY sweet. Really, too sweet for my taste. Some people say the body has an insulin response to sweet taste. Maybe I shouldn’t worry about it, and maybe it will actually help build some muscle mass. I’d hate to spend the money it would take to try the PurePaleo Protein Powder, and find out it was also so very sweet. I suppose I should mention that a lot of things taste sweeter to me, since I don’t eat much sugar, anymore. But, even the Talenti vanilla gelato I recently had, didn’t taste as sweet as the whey powder in water. Does anyone else want to voice their opinion on the taste of PurePaleo? After listening and reading the information that Dr Douglas N. Graham about 80/10/10 – it seems a concern to be eating more fat or protein than suggested by these figures. These same figures have been suggested also by T. Colin Campbell. I’d like to know your thoughts of the research being done around these figures?